Berkhamsted pupils are benefiting from an enhanced focus on wellbeing this week. Coinciding with Children’s Mental Health Week, the School aims to raise awareness and provide practical support to enable pupils to flourish. An instant success has been the newly introduced wellbeing dogs. The idea was proposed by Year 11 student Robyn Rogers. Robyn worked with the Deputy Head of Pupil Wellbeing Emma Watson to implement the idea. The wellbeing dogs all belong to staff at the school. 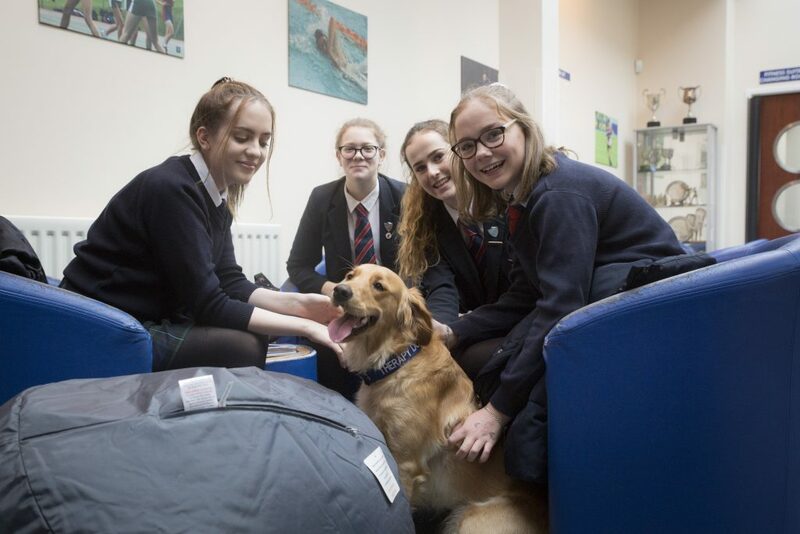 After acclimatisation and an assessment from the school Health and Safety Committee the dogs are ‘pawthorised’ to spend the day meeting Berkhamsted pupils. They provide a source of comfort and relaxation and breathing space away from the usual academic environment. 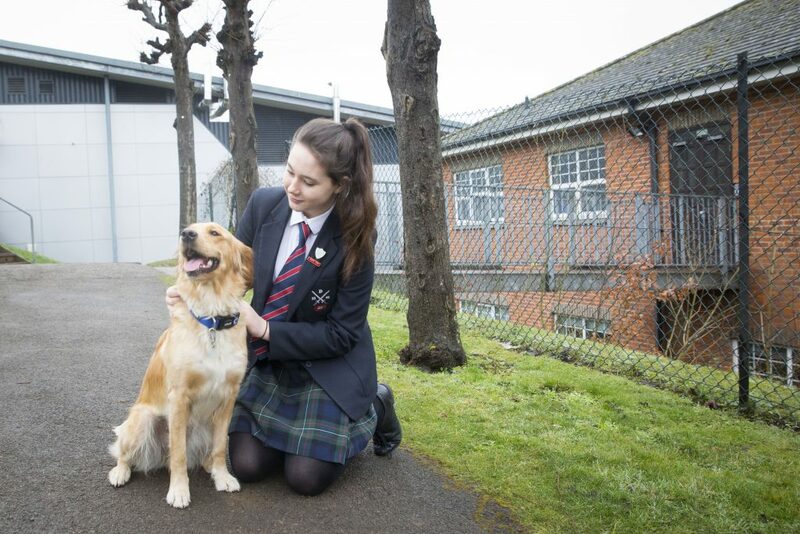 Nala, a working golden retriever who belongs to Director of Girls Sport Jo Vila made a great impact on the pupils during her first breaktime session. The adorable Nala was excited to see the pupils. Happy and cuddly, it was like having a young member of the family in school. Bibi the therapy dog works in hospitals, old people’s homes and schools as a reading dog. In addition, pupils have the opportunity to read aloud to the four-legged visitors. Dogs, commonly referred to as ‘man’s best friend’, provide a reading environment that is welcoming, peaceful and non-judgemental. Research has shown than pupils grow in confidence as they tackle literature and academic texts in front of the reading dogs. Reading week is another new initiative to help Berkhamsted pupils achieve a heathy and productive mindset. 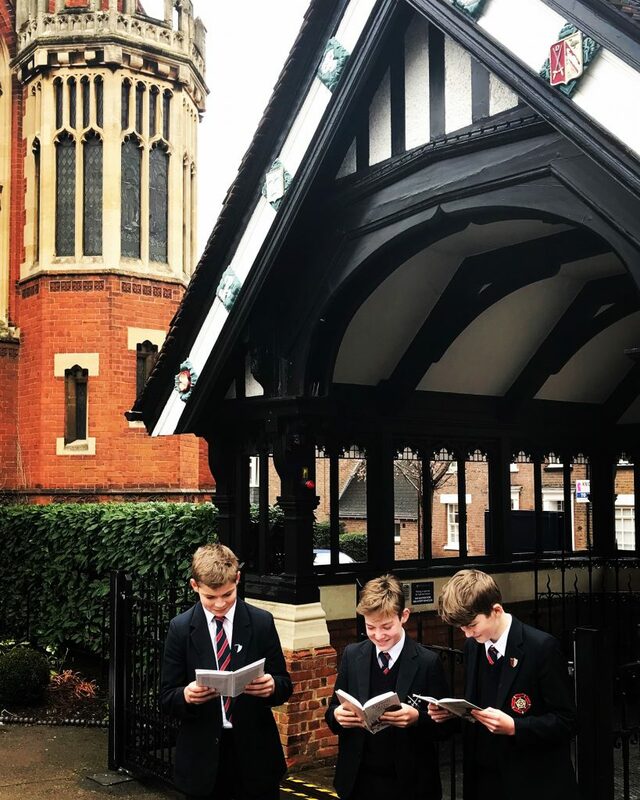 Year 7-13 pupils are being set less homework this week, enabling them the time and capacity to read for pleasure. Are selfie’s making you sad? The library team have been central to the success of reading week. They have provided many activities including imagination stations. The library’s daily wellbeing article encourages pupils to read and discuss topics such as social media’s impact on anxiety. The article ‘Are selfie’s making you sad?’ in Teen Breathe magazine was a hot talking point as pupils understood the relationship between mindfulness and their online presence. Here’s Y9 at 3 of our ‘Imagination Stations’! 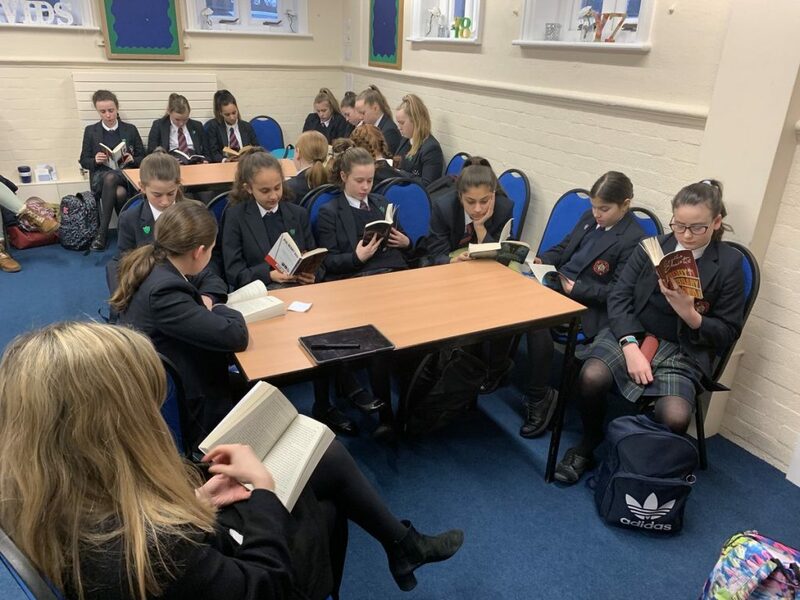 During house time, which has always been a period dedicated to pastoral care, pupils have been taking part in group reading sessions. There is strong evidence to suggest that such activities improve relationships with others, increases empathy and reduce the symptoms of depression. The wellbeing benefits blend with the outcomes of developing a broader vocabulary, increasing general knowledge and understanding culture.